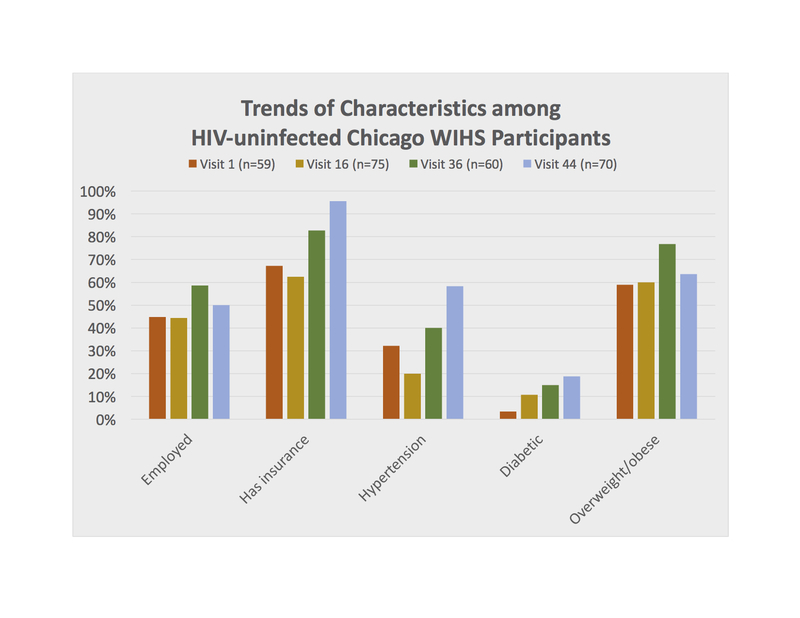 Whether through provider referrals, recruitment at care sites, or word of mouth, WIHS women have joined for over 20 years to contribute to the growing scientific understanding of HIV progression in women. The dedication of WIHS women continues to contribute to the investigation of issues on the forefront of science. Across the United States, almost 4,000 women have participated in WIHS since it started in 1993. 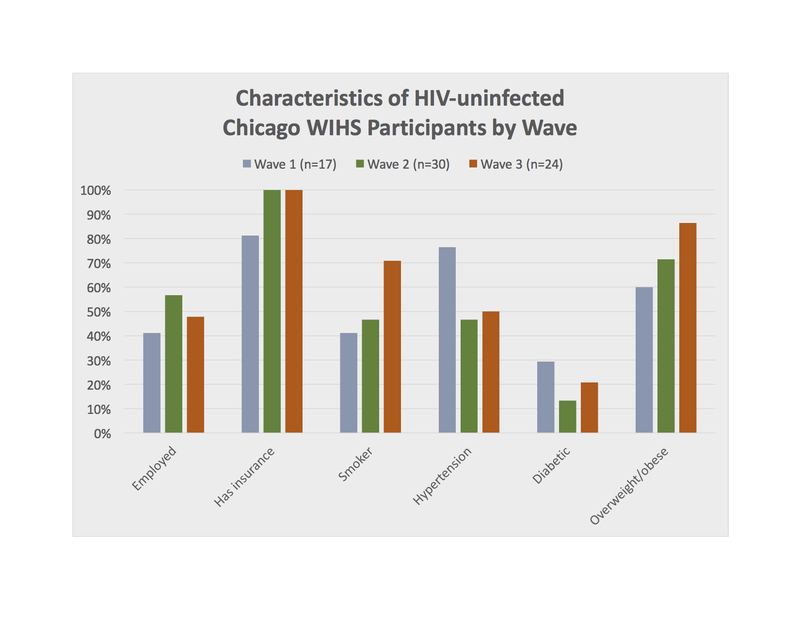 Throughout the three different waves, a total of 582 were enrolled in the Chicago consortium (452 HIV infected and 130 HIV uninfected at-risk). 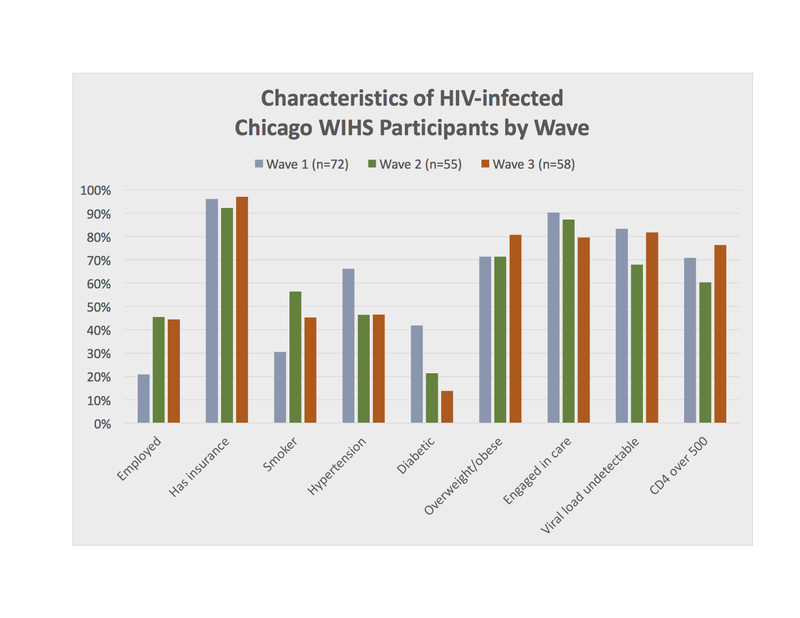 As of 2018, 269 women are alive and continue to be seen in the Chicago cohort, 194 HIV infected and 75 HIV uninfected. 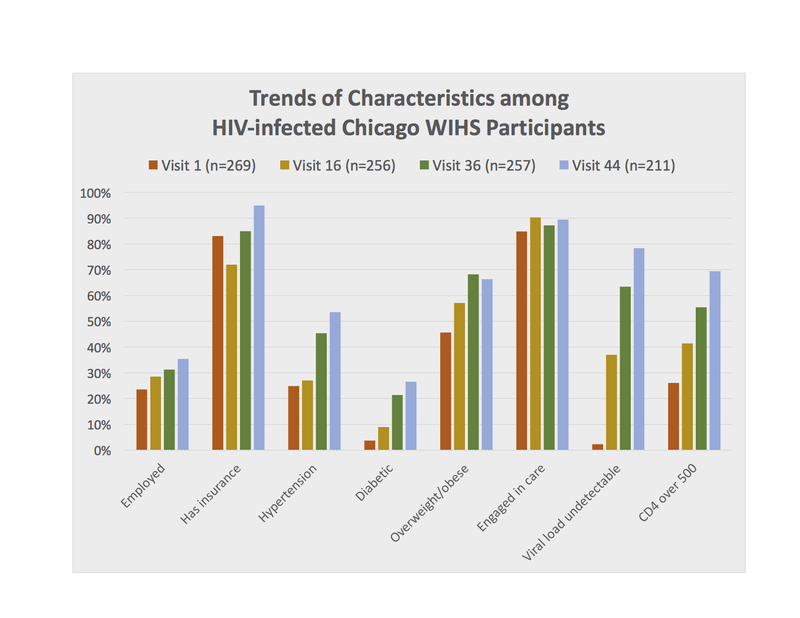 The understanding of HIV progression, development of antiretrovirals, and services for people living with HIV has changed dramatically over time. Similarly, our cohort has also changed throughout the years. Chicago WIHS participants contribute to the same visit outlined by the WIHS national protocol, while also participating in local substudies and projects. In one project with historian Jenny Brier, 14 Chicago WIHS women interviewed each other and shared their personal journeys in the HerStory Project. These journeys were documented in a book, art exhibit, and movie.